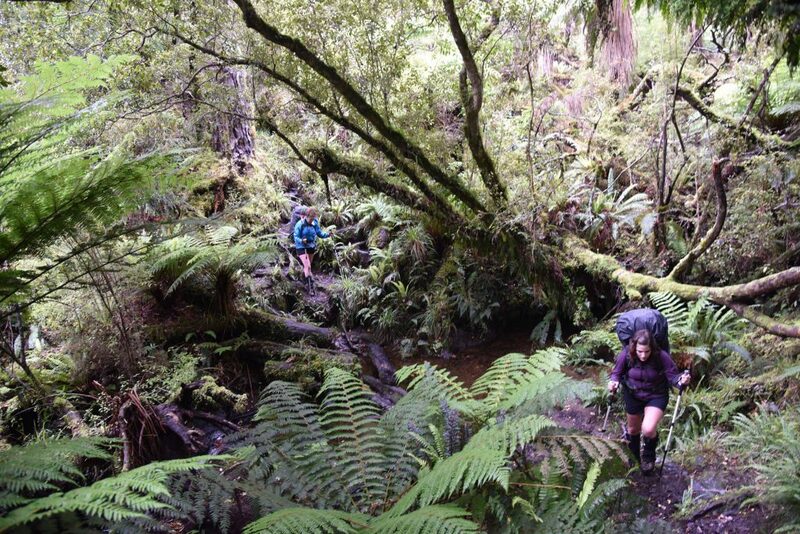 North West Circuit Track, Stewart Island, New Zealand: Allow 9–11 days to walk the full 125 km circuit. 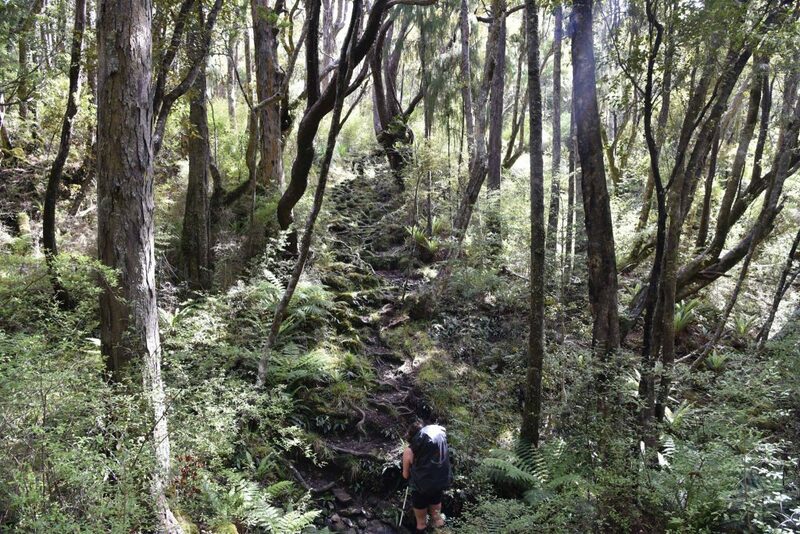 This track is suitable for fit, well equipped and experienced backpackers. Track times are an indication only and extra time should be allowed in adverse conditions. 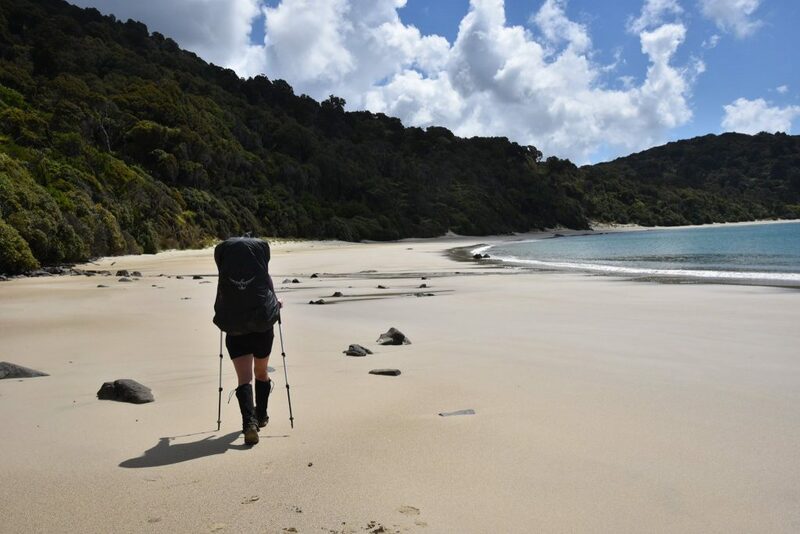 This is a personal account of the circuit along Stewart Island written primarily on the trek, as done in February 2017. This report includes all personal photos except for the island map and elevation chart. 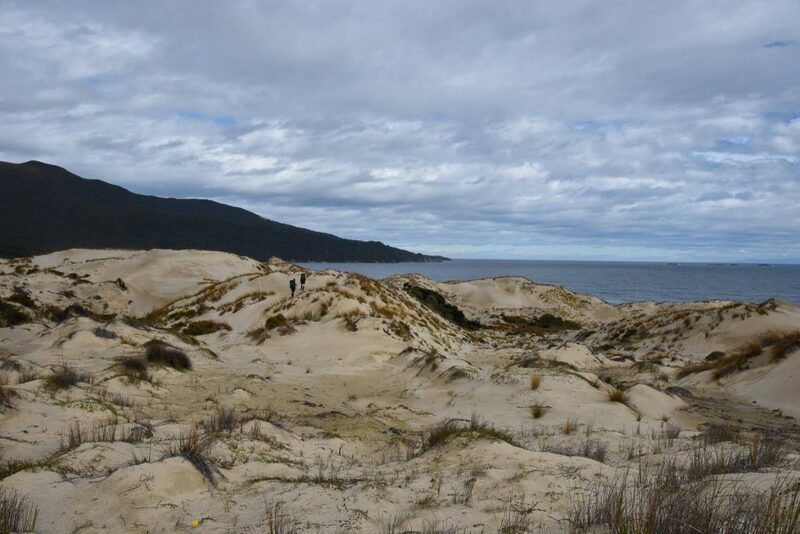 Two of the 54 treks featured in the Lonely Planet New Zealand Trekking guide are listed as the “difficult” and the North West Circuit on Stewart Island is one of them. 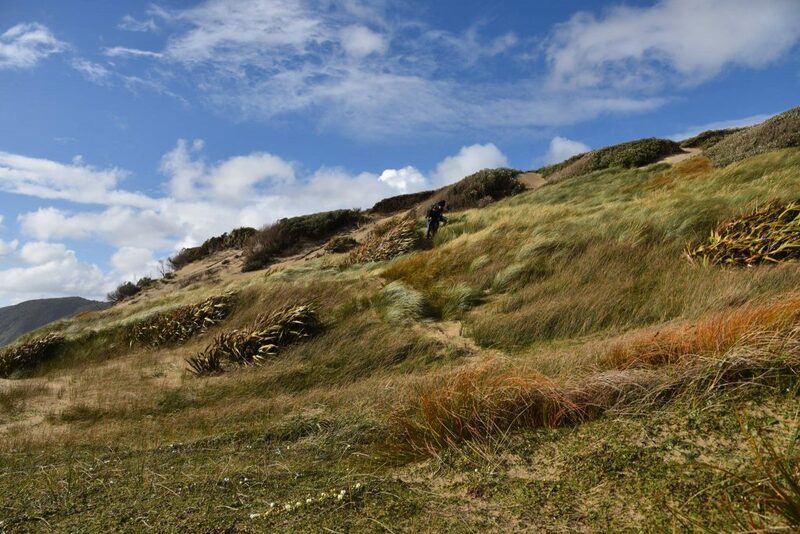 The description reads, “Coastal epic around a remote island featuring isolated beaches, sand dunes, birds galore, and miles of mud.” This island is a wild beauty and tested me more than any trek I’ve done before. 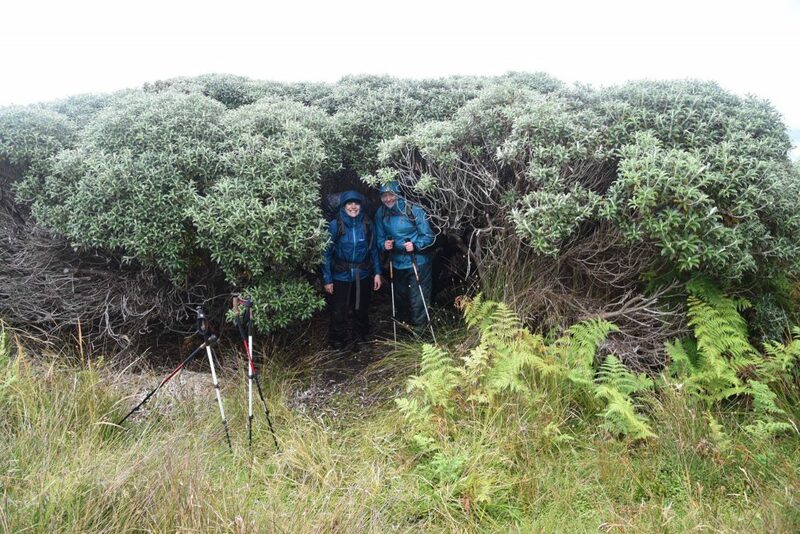 This is a hut to hut trek, or “tramp” in the local New Zealander dialect. 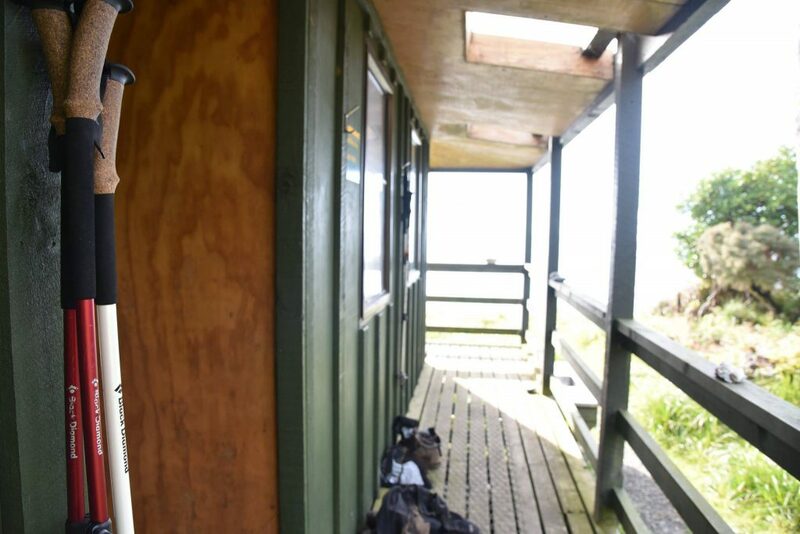 You can buy a pass for the huts once on Stewart island and they are first come first serve. 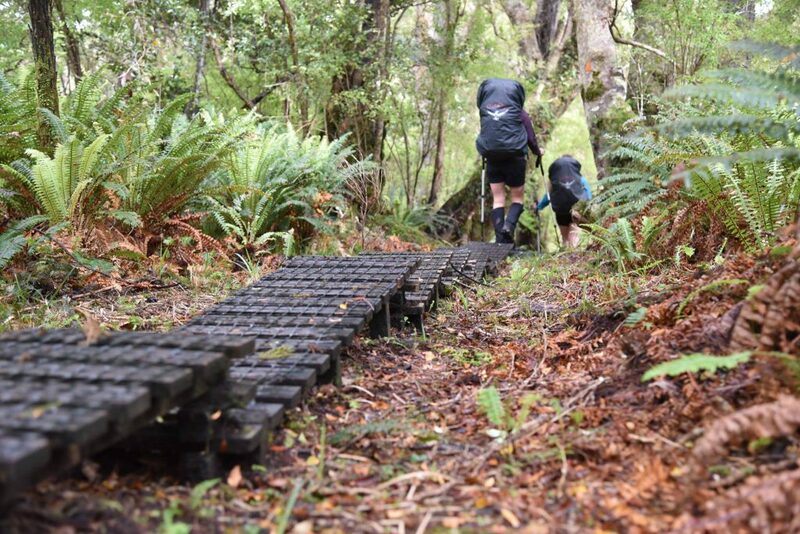 However, the first and last two huts of the circuit, Port William Hut and Northarm Hut can and should be reserved in advance because they tend to fill up as part of the popular Rakiura loop. We started from town early with full bellies from the beer and salmon dinner the night before. We were there to hike so opted out for taking a taxi to the trailhead 6km down the road. As we strapped on our packs to set out we were greeted with a heavy downpour. 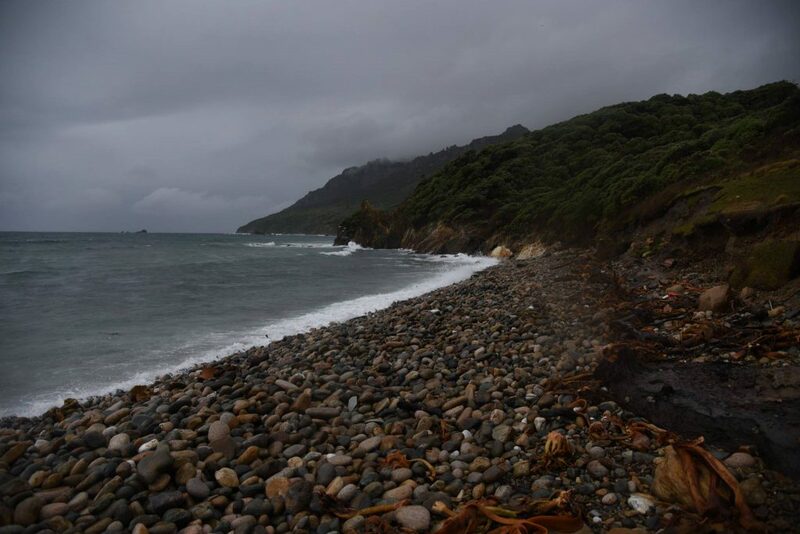 Thankfully, our indomitable spirits weren’t dampened by the rain and we enjoyed a wet day of easy mud-free boardwalks to Port William Hut. We arrived just before dinner time, hung up our wet clothes and Shannon and I headed to the ocean for a post hike dip in the frigid water (despite the rain). We woke to sunshine and quickly realized that the boardwalks were gone and the rain from the day before had turned the trail to mud. 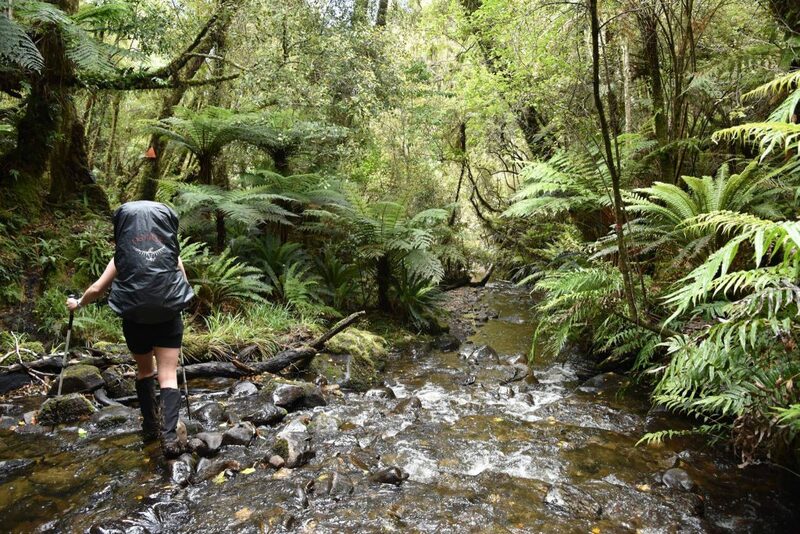 I was told about the mud but until you trek for nearly a full 6km through it – and not horizontally – mostly vertical with wet roots – it turns your mind clearing jaunt in the wilderness into a fully physical and mental struggle. Though there were no major climbs the constant roller coaster of roots and knee deep mud challenged our bodies just as much as our minds while navigating the maze. The shell shock of what we were up for fully kicked in. 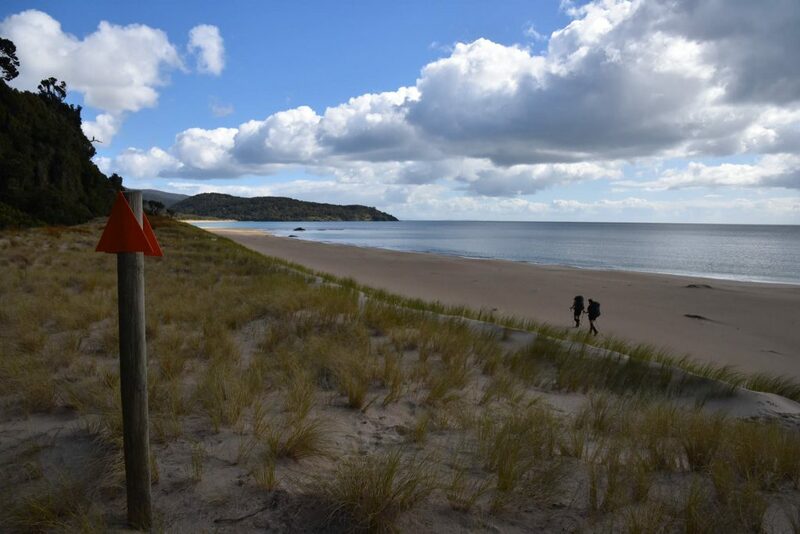 Thankfully we were greeted at the end of the day with the beautifully isolated Bungaree Beach where we searched for shells, swam in the cool waters, and enjoyed the warm sunshine. We rose early with the daylight and packed up prepared for another tough day of roots and mud. We immediately resumed a large climb followed by a series of hills and gullies full of mud. This was the first day that I started to take in the awe of the wonders around me. 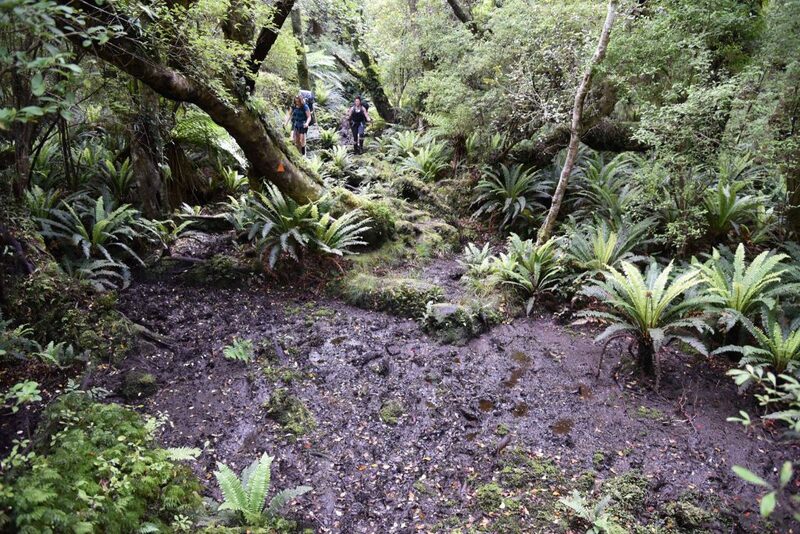 The landscape was marshy and lush and covered in unfamiliar ferns, spiky grasses, purple thistles, and tiny flowers. 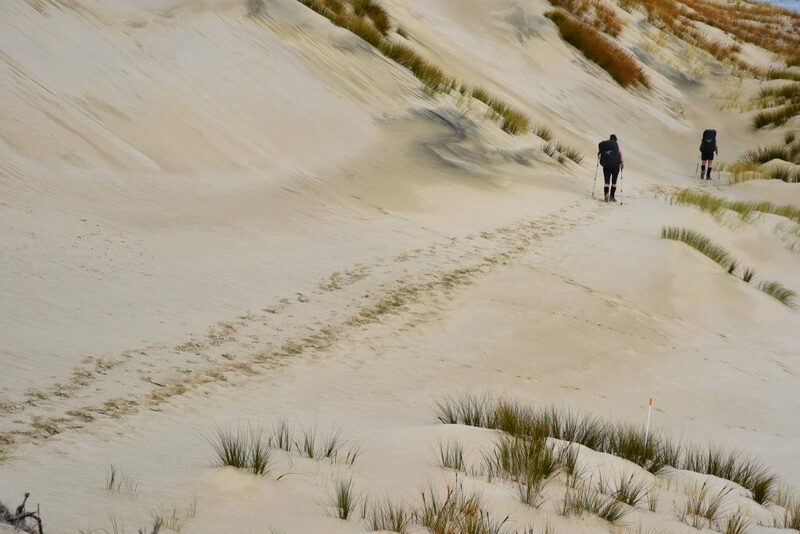 As we navigated the steep descent to Murray Beach we were rewarded with golden sand and sunshine which we took advantage of with a long lunch. After another full afternoon of constant up and downs we landed for the night in Christmas Bay at Christmas Village Hut. We found out through another tramper that from this point the trek was to get progressively harder aaaannndd this would be our last opportunity for cell service and a ferry out. There was a lengthy discussion about whether the risk outweighed the reward. 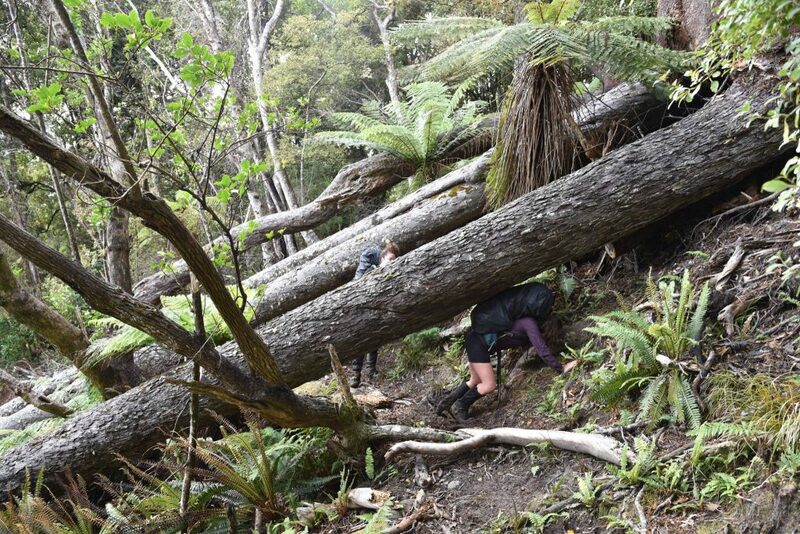 Stewart Island had had one of the coldest and wettest summers in 20 years meaning this difficult trek would be more difficult than usual. We opted to sleep in and decide in the morning. We slept in, ate a long breakfast, and enjoyed hot coffee. We called the ferry serviced and found out that they could pick us up at 5:30pm. It was like a switch went off – as soon as we found out we could get out then we didn’t want to. We knew we could do it – we just had to prepare ourselves for the challenge. We loaded up our packs and set out for one of our biggest climbs of the entire trek. 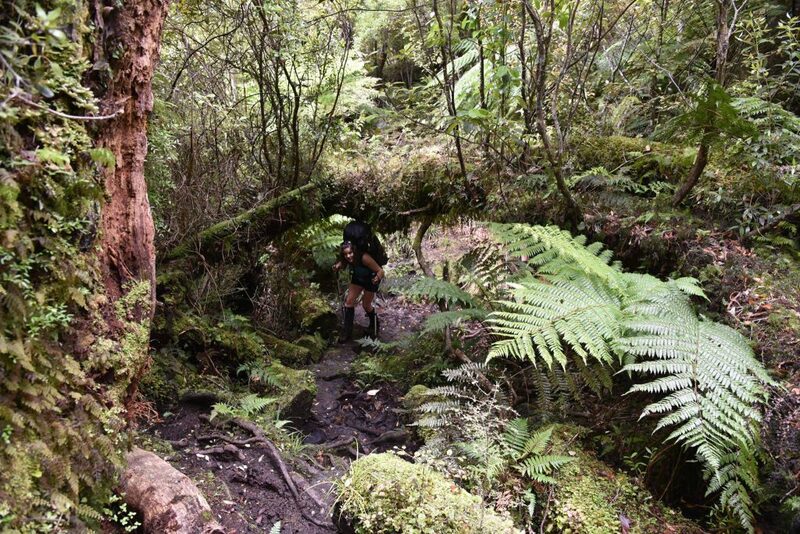 A couple dry days meant that the trail was slightly less dangerous as we wound through a stunning rimu forest. 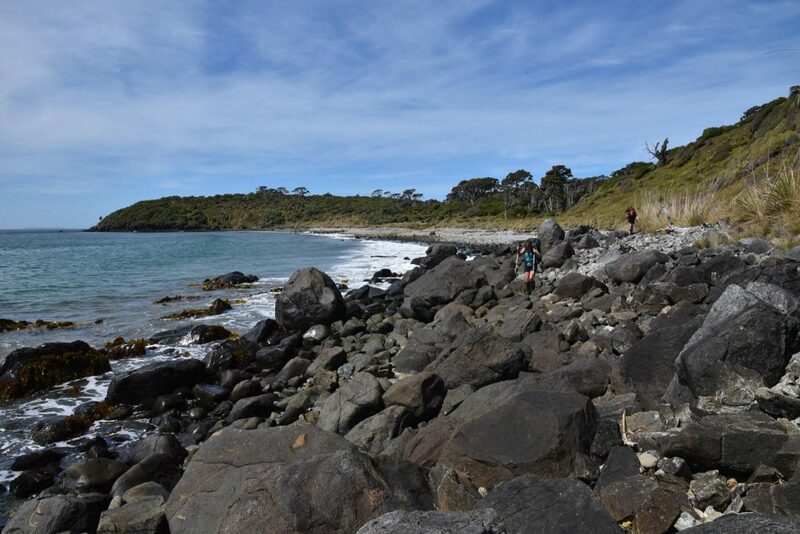 We hit Lucky Beach in the early afternoon and pushed to navigate the large boulders before the tides came in and blocked the path. After a quick lunch we hit a shorter climb with some undulated terrain before finding our stride and making it early to Yankee River Hut. Looking forward to a shorter day we started out with a skip in our step as we climbed an undulated 200m to Black Rock Point before a very steep descent on to Smoky Beach. 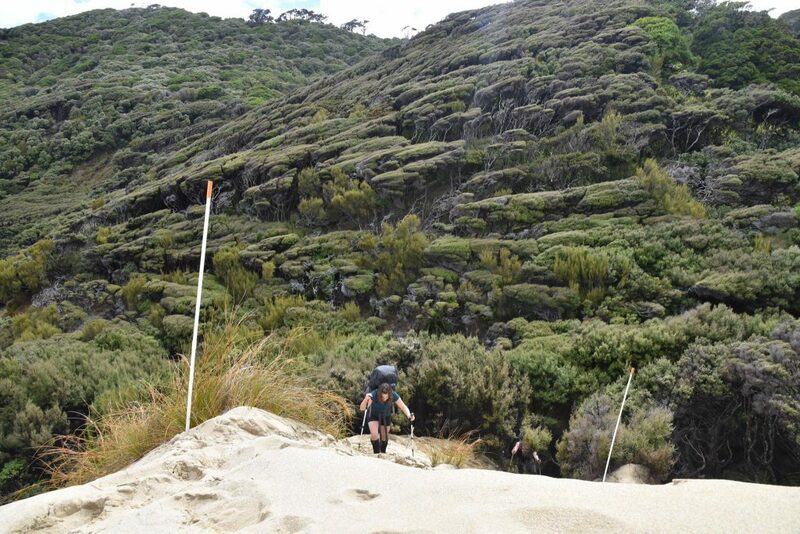 The steep climb and descent took all the power from our legs and just when we thought we had no juice left we were met on the beach by a towering sand dune that sunk 1ft for every 2ft high step. I would best compare it to running up a down-escalator except double it’s height. A true example of how much further you can go when you tap into your reserve tank. We were ready for lunch and a refuel but needed to cross the 2km long soft sand beach before high tide came in. By the time we reached the end of the beach slog we had missed the low tide route and decided to stop and eat. Instantly, sand flies and bumble bees attacked us. We would later find out that they are attracted to the color blue, which Shannon and I were so fashionably donning, but not before Shannon was surrounded by over a half dozen bees and stung on the leg. We raced to a local hunters cabin (that are sparsely located on the island) to doctor up the large sting and finish our snacks before moving on. The high tide route added an extra climb to the day but we hunkered down and moved forward onto Long Harry Hut. When we finally caught view of the hut it gave us the fuel we needed to descend and ascend the steep drop down to the ocean needed to get there. Fortunately, the sun was shining and it gave us a nice afternoon to dry out all of our waterlogged boots and clothing. We started out slow with the hopes of not losing our “juice” midway through the day like we had the day before. This day would be much like the others and best described by the Lonely Planet guide: “Tough tramping continues as you climb in and out of four more bush-clad gullies and streams, until descending near the north end of Long Harry Beach.” We pushed to get through Long Harry Beach (again) before the tides came up. We barely made it through one section, I found my boots being washed by the incoming tide as I waited my turn to climb the steep rocks ahead. Fortunately after leaving the beach, three days without rain brought us one of our easiest and most pleasurable days on the trek. Graduated climbs, beautiful viewpoints on the northern coast, and kiwis greeted us before descending to East Ruggedy Beach. 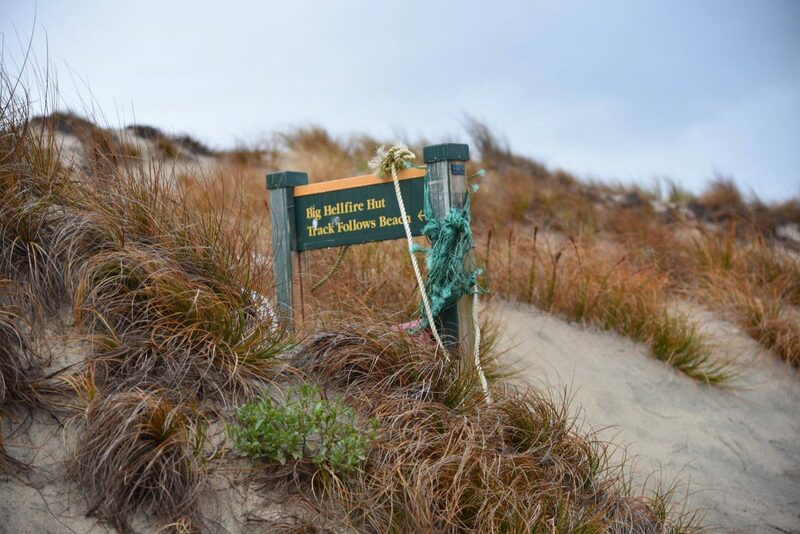 We had been warned to not cross at high tide and to move fast through the quicksand. I must admit I was excited – I had never experienced quicksand before. The D.O.C. ranger told us days earlier, before we set out, that if we did sink it would only be down to our hips and we would need a friend to pull us out. Thankfully I had two friends and was ready to forge ahead. With my boots tied around my neck and my water shoes on I set out to cross at the mouth of Ruggedy Stream. I kept waiting for my feet to sink but only felt a slight sucking on my feet as I expediently tramped my way through. After a short celebration I set down my pack and headed back towards the stream looking for a soft spot. “I found some,” I exclaimed to Joe and Shannon! As my feet sank I felt so excited to check this off my proverbial bucket list. Joe yelled back, “get out of it.” Not wanting to have to pull me out – he was always the sensible one. Joe washed our feet before putting our boots back on to finish the 45 minute trek to the hut. We ended the day with smiles and a big dinner. escent into Waituna Bay. After a quick touch and go on the beach we began our gradual ascent to Hellfire Pass. We ended the day after 11 hours of hiking at the top of one of the longest sand dunes in the world at 200m above sea level. The rain hit us on and off all day so we tried our best to light a fire and dry things out but the hut was so cold and the wood was so wet we had to hunker down for our coldest night on the trek. All in all it was a good day. 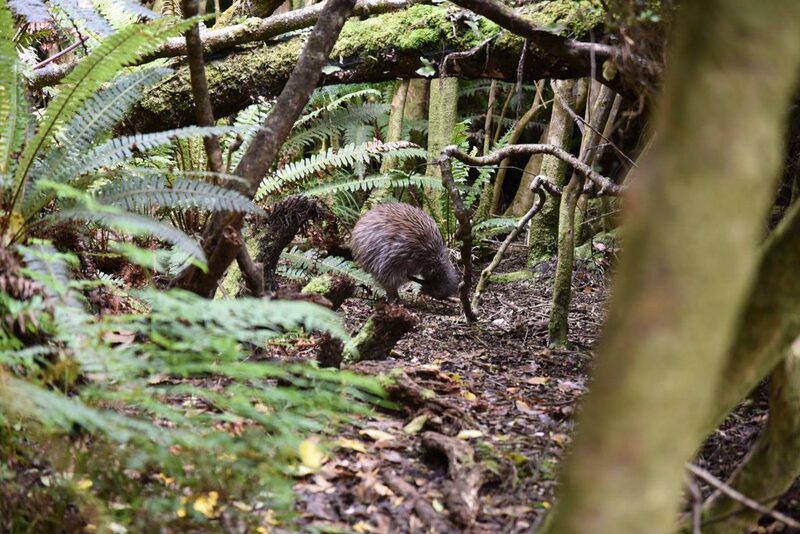 Since we were looking at another long day we got an early start and were treated to a morning call from a female kiwi. We were looking forward to some lovely ridge walking and beach walking but were deeply disappointed by the near constant mud. It rained all night and most of the day before and wasn’t letting up yet. The mud was deeper and constant. Our boots were instantly wet. As we were coming down from the Ruggedy Mountains we found ourselves descending steep puddle after puddle grasping trees and trekking poles to keep our feet from going out from underneath us (which happened multiple times). We finally arrived at Little Hellfire Beach. We were immediately pummeled by high winds that tore off our pack covers and swept at our feet. We hurried across the beach as a large storm was looming on the horizon and took shelter under some trees. We decided to grab lunch here and wait out the storm which ended up being pea size hail. According to the map we had a 150m climb over Mason Bay Head and were hopeful that this would be an easy climb. Due to the extreme weather and mud from days of rain this ended up taking nearly twice the time if should have. We were excited to finally make our way to Mason Bay but due to the high tide and the storm the beach was nearly impassable. We attempted to dry out our boots but had to take shelter under my emergency rain cover to keep ourselves dry and warm while we waited out the storm and the tides. Finally, the tide lowered enough for us to begin our 4.5km trek down Mason Bay towards the hut. 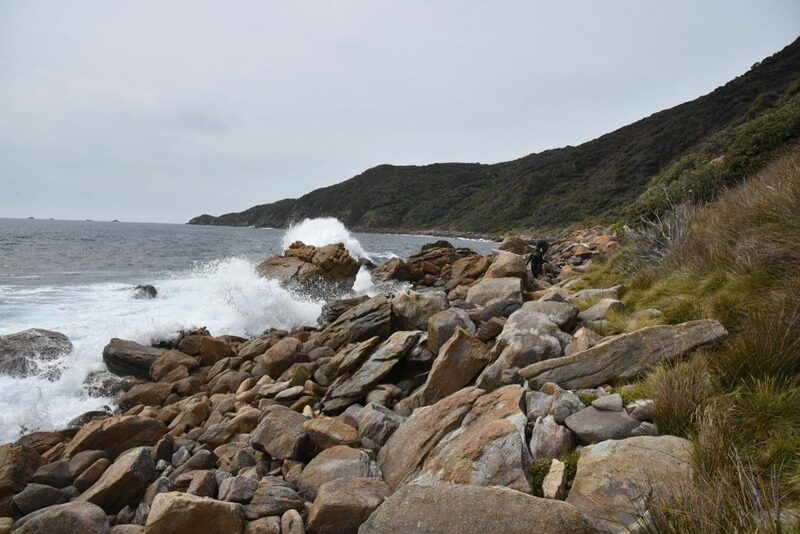 We were blocked by a steep rocky outcrop and had to add another hour onto our day by taking the high tide route. We were met with more wind, rain, and hail. 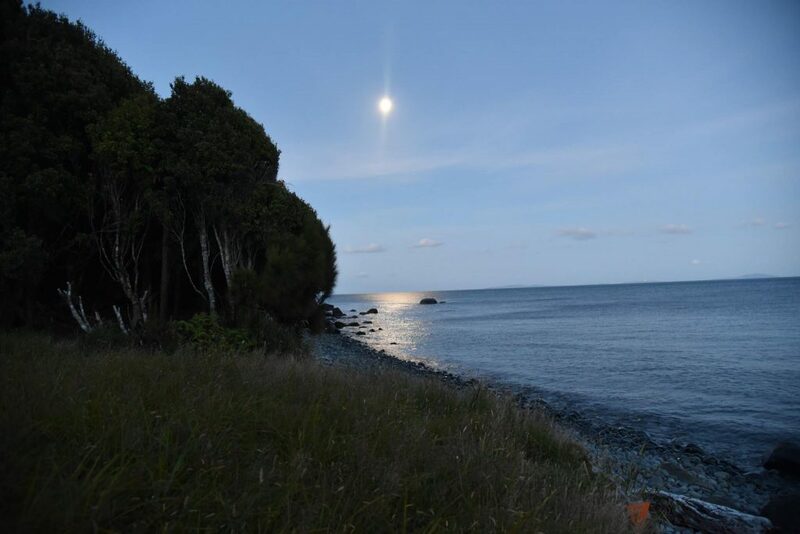 Finally we left the beach and enjoyed a sunny trek to Mason Bay Hut after a 13 hour day of hiking. We slept hard and woke with sore feet in the morning. We grabbed breakfast and were happy to have a nice flat day ahead of us. Some people can do this route in 3 hours. Being sore from the days before we took our time and finished in 5. The scenery was constantly changing as we made our way across the middle of the island back to where we started. Due to flooding we took the water taxi from Freshwater back to Oban. 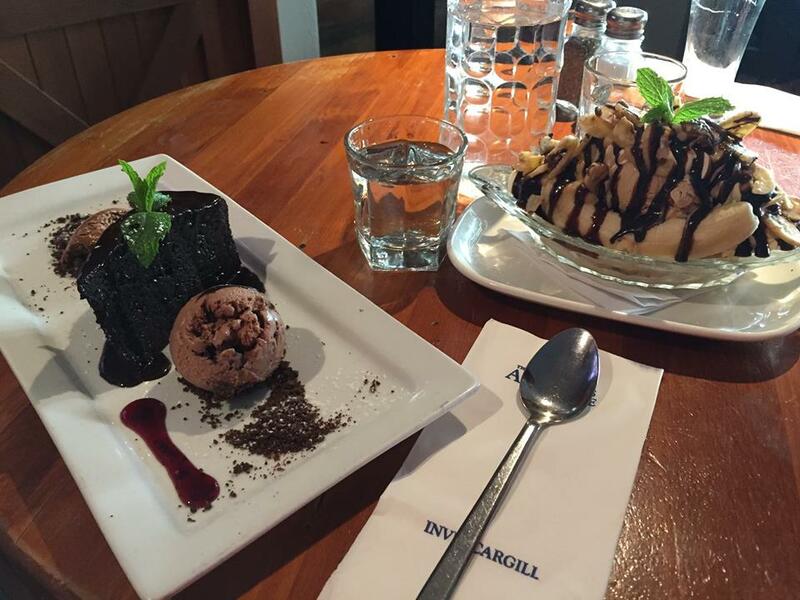 There was a calm sense of accomplishment and we looked forward to beers, dinner and sweets at the local pub. Written by Emily White, additional writing and editing by Kayla McKinney and photos by Joe White. It’s crazy to think I’ve been back from my trip for a month already! Now that I’ve unpacked all my bags and uploaded all my pictures, it’s time to digest this crazy experience. I spent a ridiculous amount of hours planning every detail possible for this trip and, for the most part, I did a pretty good job! One of my biggest concerns was figuring out what all I’d be allowed to bring into the country. New Zealand has pretty strict customs, but neither me nor my father had any issues coming in. The other major concern I had was just how different it would be there compared to the states. I had a small idea of what to expect but you never really know what a place is like until you go there. Luckily, there weren’t too many major differences and it was easy to adapt to the way things are done down there. 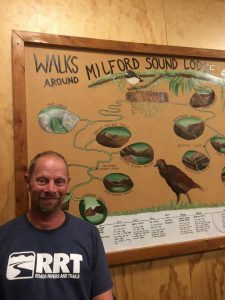 My father and I spent 7 days driving through the entire country down the middle of the North Island and the west coast of the South Island. 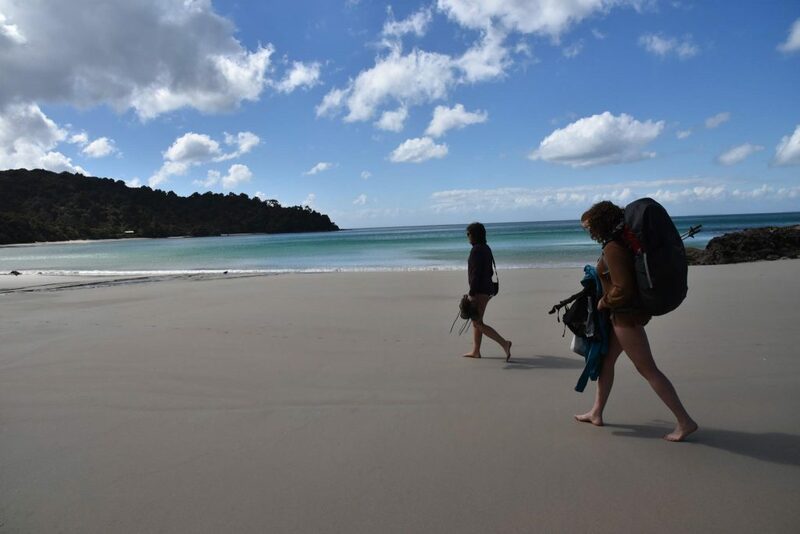 We also spent 2 days backpacking on Stewart Island and 2 days exploring Auckland. Although there were more than enough opportunities for something to go wrong, the trip went smoother expected and blew my mind way more than I thought possible. There were only a couple aspects that I had to leave unplanned because I was unsure what the situation would be like once we got there. First, I knew I couldn’t fly with fuel for my stove and would have to buy some once we arrived. I was not worried about there being a shortage of stores to purchase from, but I hadn’t figured out an exact time and place to go to get it. Luckily we drove through a handful of towns with outfitters before we needed the fuel, so we were able to obtain some no problem, and check out some cool outfitters along the way! 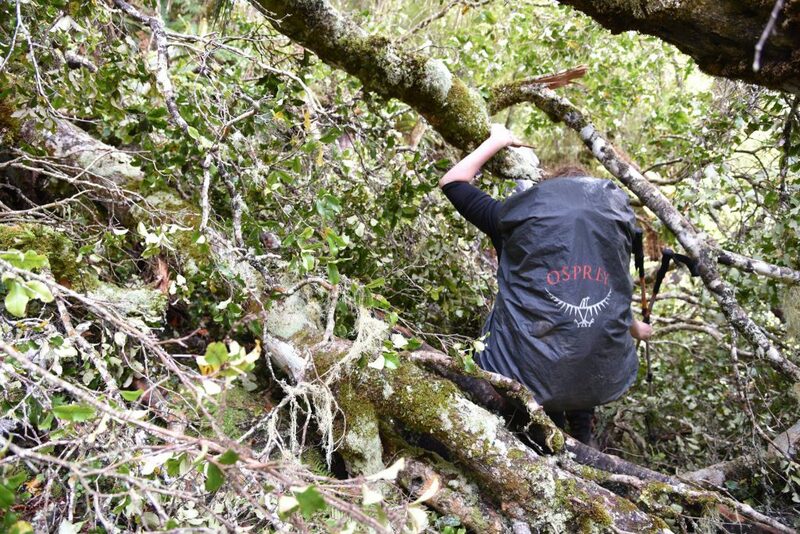 The other issue I hadn’t quite figured out yet was how to store our excess luggage before taking off for our trek on Stewart Island. I emailed the company that was providing the shuttle and ferry service and they informed me that there were lockers for rent, but they weren’t very big. Unfortunately they were unable to provide me with exact dimensions, so my dad and I counted on them to be big enough for our duffels and didn’t try to make other arrangements. Upon arriving, we realized the lockers were a little too small for all of our items. Luckily, the ferry terminal was a small office and we were going to return three days later, so they held our two bags in the employee area. However, for future reference, I would not count on this option being available. 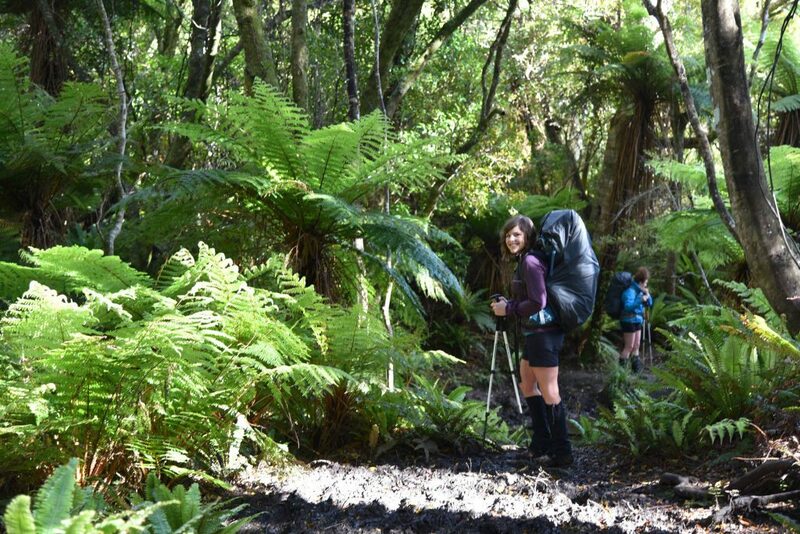 It was the beginning of Spring in New Zealand when we went, so the busy season for tramping hadn’t begun yet. Later in the season, this probably wouldn’t be an option. Of course, no vacation is perfect, no matter how well it’s planned! Something always ends up coming up that must be dealt with. The biggest concern of this nature that we experienced on this trip was health-related. My father and I both came down with head colds a few days after arriving (most likely due to the 30+ hours of travel it took to get there). 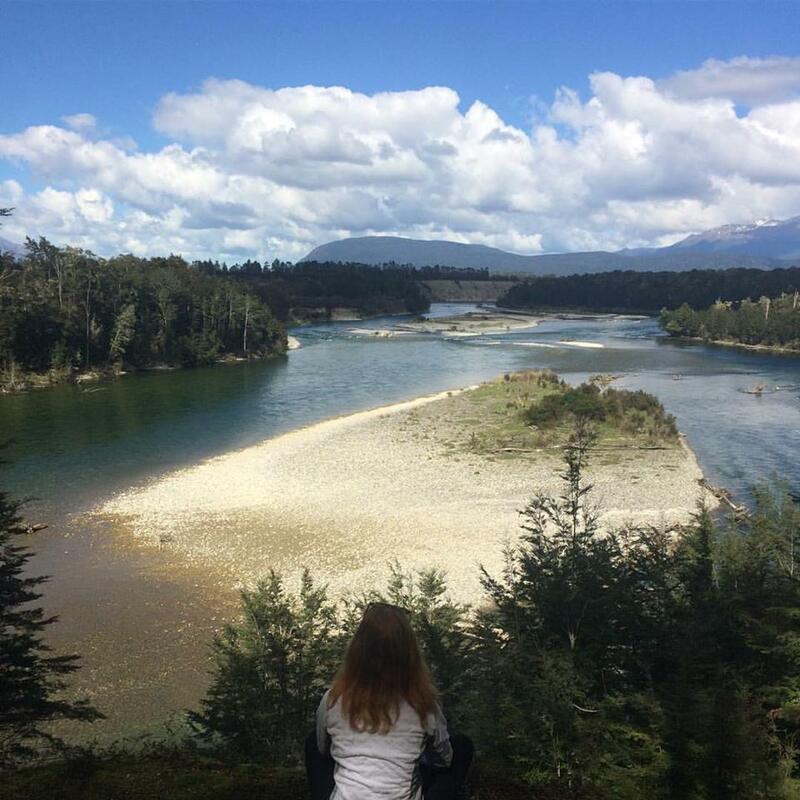 There were a couple times we felt pretty under the weather and decided to go straight to the campground or Airbnb and relax instead of doing the short hike I had planned. Another issue we encountered was a logistical one that was easily figured out. 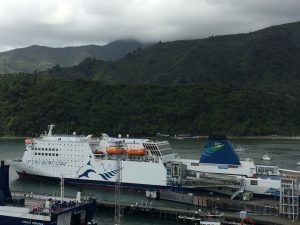 On the long flight out, my father was reading through the “small print” for our rental car reservation and realized we were not allowed to bring the rental car on the ferry from the North to the South Island. 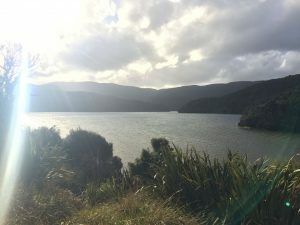 Luckily, all we had to do was arrange to drop off our car at the ferry terminal in Wellington and pick up another in Picton on the South Island. This actually worked in our favor because there was a $70 fee to bring a car on the ferry that was refunded when we changed our reservation! The only other issues we encountered were also minor and easy to sort out. First, I somehow traveled to this country not knowing they have completely different outlets! However, we lucked out on our third day and found a hardware store that sold converters- crisis averted. There was also way less internet there than I expected. I knew I wouldn’t have any cellular data, just WiFi, but even that was scarce. And when there was WiFi available, it was very limited. It was an odd but awesome feeling being so disconnected from my friends and what was happening back home. The only time it was an issue was when I was trying to navigate and the solution was simple: download directions while we still had internet! Lucky for us, this issue never became more serious and we avoided getting lost pretty well! So far I’ve described the end results of issues I was worried about before departing and discussed the other major issues we encountered on the trip. Now I’d like to talk about the fun stuff- my favorite moments and what surprised me the most about this awesome country! 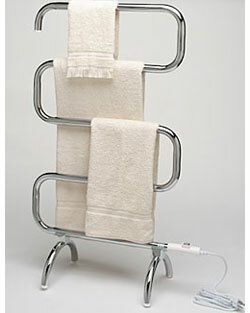 One of the first things I noticed, besides the driving on the left side of the road and roundabouts in lieu of traffic lights, was that the washroom in every place we stayed, with the exception of campgrounds, had a towel warmer! One Airbnb host was floored when I told her this isn’t a thing at all in the states. 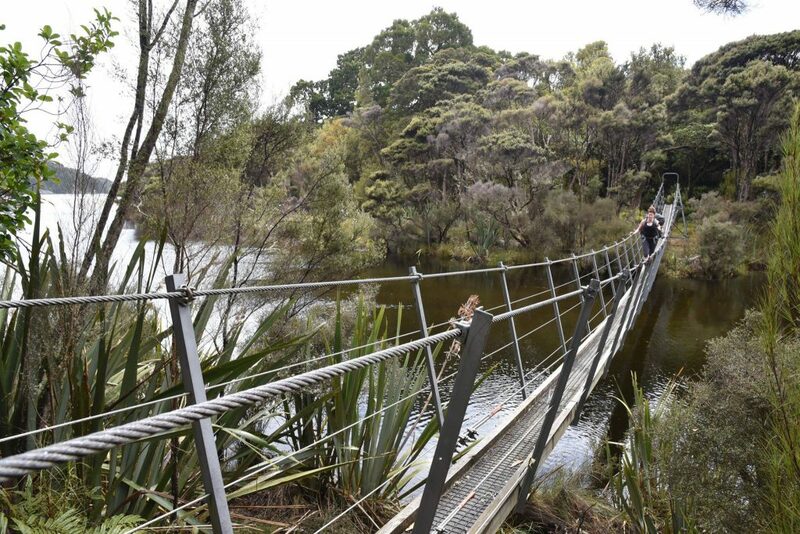 They are completely commonplace in New Zealand and made the biggest difference! I was also pleasantly surprised at the amount of fuel-efficient cars I saw driving around on the North Island; the ratio of compact car to van/SUV/truck was about 85:15. The South Island was a different story. Campervan rentals are a major tourist attraction in this so we saw them everywhere, even though it was barely spring! I can’t even imagine how crowded the more popular areas get with campervans during the busier seasons. Overall this was an incredible trip full of surprises, almost all of them good, and I learned way more than I’ll ever be able to put into words! It was definitely the trip of a lifetime! If you’re interested in learning more about New Zealand or seeing more pictures of this beautiful country, stop by the shop Dec. 1 at 7pm for my trip presentation! More details and info can be found on our facebook page. When I was a junior in high school, my dad promised me that when I graduated college he would take me to either Australia or New Zealand. 7 years later, as I’m beginning my final semester of college, I get a text that reads simply: “So which is it going to be: New Zealand or Australia?” I was instantly in tears. And then the reality sunk in: I gotta plan this thing! So, I have spent the past 6 months planning every detail of this trip, from researching trails to hike to figuring out where to buy fuel for my camp stove. I even made up a powerpoint for the itinerary, complete with pictures! In this blog I will discuss my planning strategy, the tools I used, and any issues or concerns I ran into. Of course the first thing we had to do was figure out logistics. When did we want to go? For how long? How are we going to get around while we’re there? What restrictions are there on what I can bring into the country? We decided to leave at the end of September, right after my birthday, and stay for two weeks so we’d have plenty of time to explore. The weather would be perfect- still snow on the Southern Alps! The cheapest flights were in and out of Auckland, so that’s where we decided to begin our journey. 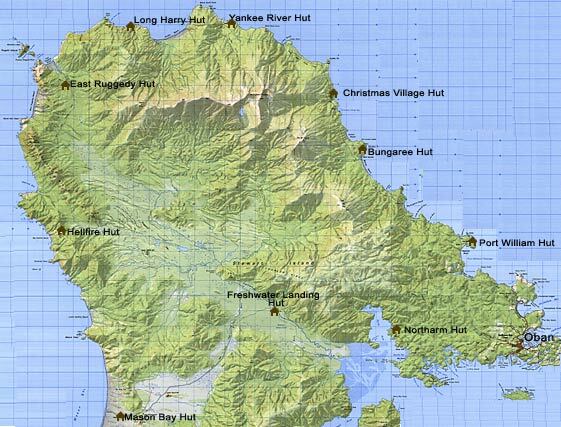 along with a National Geographic Adventure Map, to figure out where to stay along the highway that follows the Southern Alps down the west coast of the island. Once I established how many days this would take and what a reasonable driving distance was per day, the rest was actually pretty simple! 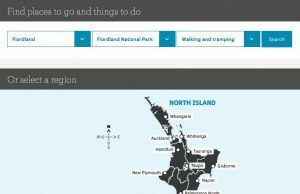 New Zealand’s Department of Conservation has an AWESOME, super easy to navigate website. This is where I found all of the trails we plan to hike. The website offers lots of great information about where to stay in every region of the country and what to do while you’re there. They even have maps and descriptions for each individual trail, including mileage, approximately how long it takes to hike it, and what you should expect to see. This is also where we found information on campgrounds, AKA “campervan parks”, to stay at and what amenities they have. Using all this information, I was able to build the basic structure of the trip- where to start, where to end, and what to do along the way. The end result of this planning stage was the following: we would fly into Auckland, pick up our rental car, hang out in the city for a day, take a week to travel down to Invercargill (the southernmost large city on the South Island), spend 3 days backpacking on Stewart Island, then return to Auckland via airplane. This plan left us with an extra day, so I let my dad choose what to do that day. Once we finalized the structure of the trip, we had to work out the logistics. There was a lot of booking to be done! We decided to stay in Airbnb’s 4 nights throughout the trip. We booked those, plus a handful of nights at different campgrounds. We also had to buy tickets for a couple different ferries and reserve sites on Stewart Island. 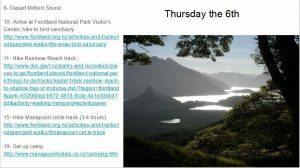 On my itinerary, I highlighted the date (at the top of each slide, one slide per day) in red if there were still logistical details to work out for that day. Once everything was booked and confirmed, I unhighlighted the date and could rest assured knowing all we had to do was show up and do the stuff and everything else was taken care of! The only thing left to do was make sure travel to and from the country would be as smooth as possible. New Zealand has a lot of restrictions on what can be brought in. I learned in my research that we have to declare every “risk” item we bring. This includes items such as camping gear, sports equipment, and food. I also heard from a few customers that visited the shop that they will not let items with any amount of dirt on them into the country to prevent the spread of invasive species, so I had to make sure to clean all of my gear before leaving. I also emailed the Ministry for Primary Industries to make sure all the food I planned on bringing was allowed into the country. I’ve heard from a few people that they have odd restrictions on certain ingredients but I was not able to find any information that specific on any official website. Luckily, nothing I plan on bringing (ramen, instant mashed potatoes, trail mix, pasta, etc.) raised any red flags. 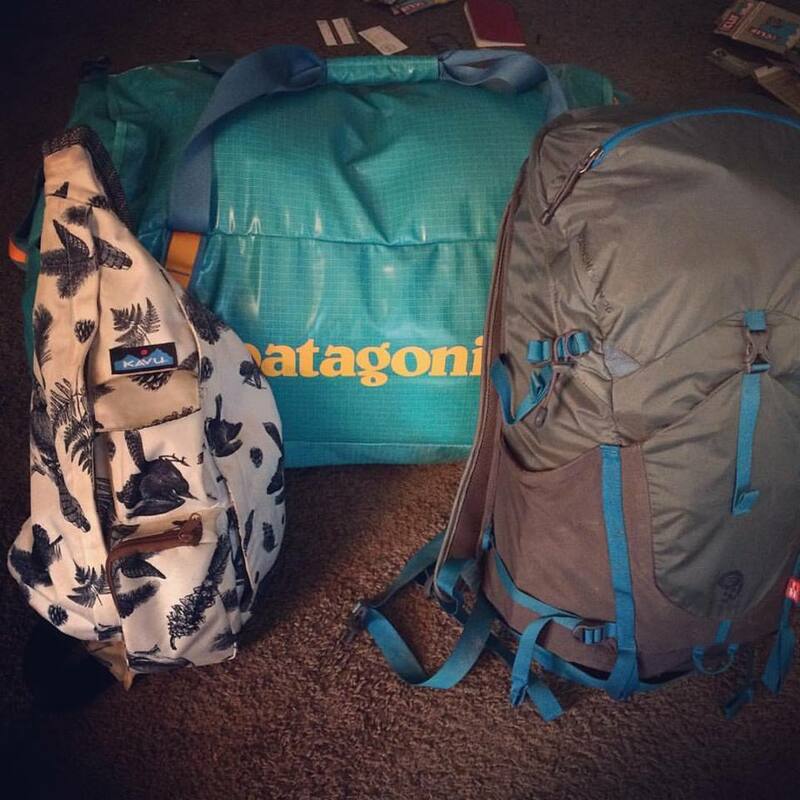 The very last thing I had to do was figure out where to keep our extra luggage when we go on our backpacking trip. We are dropping off the rental car prior to taking the ferry to Stewart Island, so we do not have a place to keep the items we don’t need for the trek. I emailed the service we are using for the ferry and they said they have a few small lockers available to rent, but they were unable to provide exact dimensions so there is no way to know for sure if our duffels will fit until we get there. Aside from that detail, everything else is accounted for! Stay tuned to hear how it all turned out!